Are you there Satan? It’s me, Je. As a member of a ridiculously religious family, I’d spend the first part of my childhood summer vacations (which here in the Philippines, starts from late March to early April), observing Holy Week traditions. One of these is going on Seven Churches Visitation trips. Locally known as Visita Iglesia, it is a tradition where, you guessed it, families visit seven churches, every single year, the same seven churches. 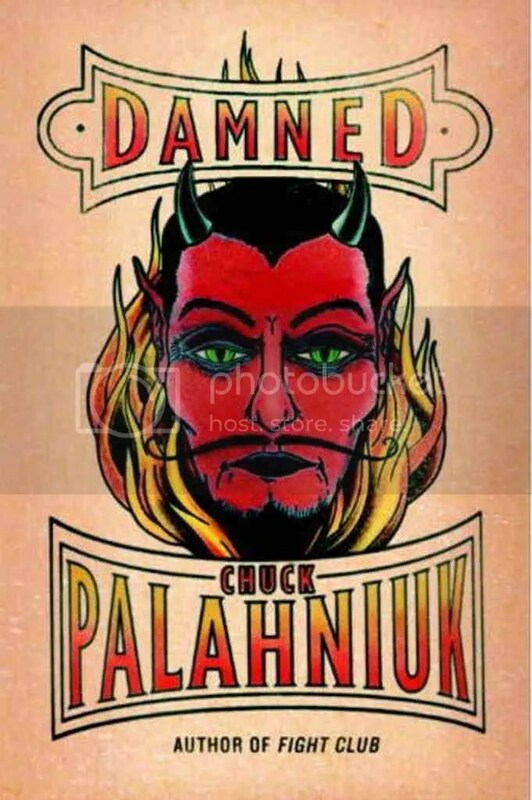 In light of this wonderful Catholic tradition, let me tell you about Chuck Palahniuk’s Damned. The first, and currently the only, work of Palahniuk that I’ve read, I recently finished the novel which was released in 2011, and is a prequel to his 2013, Doomed. Madison Desert Flower Rosa Parks Coyote Trickster Spencer, the only unadopted offspring of big-shot philanthropist, celebrity parents, is dead. Everything her Buddhist parents taught her about moral relativism, recycling, secular humanism, organic food, and expanded Gaia consciousness is wrong, and now she’s in hell. Thirteen-year-old Maddy narrates her adventures in hell together with her newfound friends; a rocker, a nerd, a beauty, and a jock. She tours around the sights of hell across the Dandruff Dessert, through the Great Plains of Broken Glass, over the Great Ocean of Wasted Sperm, and beyond the Swamp of Terminated Pregnancies. In her short time in hell, she learns about the structures of Hades, demonic entities, and divine laws about passing gas in elevators. At the same time she tries to remember the events and details of her death. I’ve come across a lot of positive reviews for this book before actually reading it and found that there were several comments relating it to The Breakfast Club. Even Palahniuk described the novel as “if The Shawshank Redemption had a baby by The Lovely Bones and it was raised by Judy Blume” and “it’s kind of like The Breakfast Club set in hell.” I dwelt on the latter and read with too much expectation, until I realized that the novel has a story on its own and shouldn’t be read as a clone of any other work. The book is filled with religious satire that would make any churchgoing grandma faint. Palahniuk presents each scene in a comedic manner while making you rethink your religious choices and moral ideals. He gives insight to the funny truths and paradoxes of most organized beliefs in a most interesting way. Pick this book up if you want a great read during your Visita Iglesia trips or if you want to see how far you can go without crossing the line of unbelief. Either way, I’ll see you guys in hell.